 The Cons of the New Radiology Board Certification Format - ONRAD, Inc.
DiagnosticImaging | At the recent Pennsylvania Radiological Society meeting, I was asked to speak about the “cons” of the new board certification format recently instituted by the American Board of Radiology. The change has created quite a few problems for residency programs across the country as they attempt to satisfy requirements for both the upper year classes still under the old system and second year residents who will be the first to complete the new testing. Besides these short term issues created by the collision of two resident classes with different board certification processes, I have a few concerns about the new format regarding the long term consequences on radiology education. 1. The current second year class will be the first not to take a dedicated physics exam this September. Instead, physics will now be combined with clinical testing in a computer-based, multiple choice exam which will be administered in the third year of residency. There will be a 70/30 split between general radiology and physics questions. Being that physics is the basis for all image creation, I feel that the third year is too late to be testing such basic radiologic knowledge. Under the old system, there was a dedicated period of time to study physics and consolidate that knowledge to enhance our daily radiology practice. Also, no matter what many of my fellow colleagues may think, I believe that physics training is an important distinguishing characteristic of a radiologist. It should not be relegated to the back seat with so few questions dedicated to testing so many important concepts. Particularly at a time when there is so much discussion about other specialties taking our business, we need to focus on how we can add value as consultants. 2. My class (the current third year residents) will be the last to take the oral boards at the end of our fourth year. There are several reasons why the new certification process is inadequate with the lack of an oral component. First, problem solving and communication with other physicians are important skills that are better assessed with the oral format. Under the old system, the end of the fourth year is currently a dedicated period of time to study and consolidate all of the knowledge gained during residency. There is a transformation that occurs during this process where a resident matures into an attending radiologist. In the new system, the test administered in the third year is the closest replacement. Unfortunately, this exam is too early in residency to foster the development seen with the oral boards. Besides, with technology rapidly evolving and our knowledge base continually expanding, general competence cannot be expected in less time than in the past. 3. In the new system, there will be a second computer-based, multiple choice exam fifteen months after finishing residency. The exam will be composed of general radiology questions in addition to questions from three subspecialties chosen by the resident. Never mind the fact that residents will no longer be board certified when finishing residency. The more important issue is if 90 percent of us will eventually become private practice radiologists that read a little bit of everything, why are we not concerned about testing those subspecialties that a resident is least proficient in? (Obviously, I am assuming that the resident will choose the subspecialties that they are strongest at, but I think this is a fair assumption.) The ABR believes that in the near future, radiologists will work in more subspecialized practices, however that is not the current state of radiology in the US. Aren’t we putting the cart before the horse? I realize that complaining about these changes after they have already taken effect seems pointless. I think most people including myself have accepted that the new certification process is here to stay, but I hope that the ABR will seriously consider and rectify the deficiencies of the new system. After all, no matter what format we are tested in, the end product is most important. As long as we are producing competent radiologists that satisfy the needs of patients, radiology groups, and other specialists, that’s really all that matters.